Three more books to discuss for the 2015 Reading Challenge. [Mrs. Forrester explained] … in her day the only use people made of four-syllabled words was to teach how they should be spelt. These are from Cranford, perhaps Elizabeth Gaskell’s best known novel, thanks to a 2007 BBC series based on this and two novellas. Given the popularity of Jane Austen, Charlotte Brontë, and Charles Dickens as sources for television series, it’s no surprise to find screenwriters drawing on Gaskell’s stories. In them can be found great historical issues — industrialization, labor unions, religious dissension, the decline of the aristocracy — as well as romance (both successful and failed) and strong female characters. I started with North and South (Challenge category: Traditional Romance), an exploration of what happens when a pastor uproots his family from the idyllic countryside of southern England to relocate in the industrial midlands of the “North”. Milton, their new town in the county of Darkshire, contains several cotton mills. Milton is based on Gaskell’s experiences living in Manchester. According to Wikipedia, in 1860 three midland English counties had almost 2200 mills, with a about 360,000 workers in total; the number of power looms increased from about 2400 in 1803 to 100,000 just thirty years later. Once settled in Milton, Margaret Hale finds herself clashing with one of the mill owners, John Thornton. Class is the first area of conflict — there are no ladies or gentlemen of equal rank in Milton, and Margaret fumbles her way into friendships she would never have considered in the South. She becomes acquainted with a mill worker and his daughter, and learns their point of view as a strike looms. What’s admirable about Margaret is that she never hesitates to speak up against Thornton’s views, but she also is willing to listen. She truly wants to understand what people believe, and her interest, although considered by some to be “unwomanly”, is what eventually draws admiration from those she meets. North and South is considered a social novel, but it’s also a romance: not just between Margaret and her eventual husband, but between this young woman and an area of England she never expected to love. Her appreciative memories of her home in the south remain strong, but given the opportunity to resettle there, she declines. Milton and Darkshire, mills and unions, industry and action — these are what she learns to prefer. 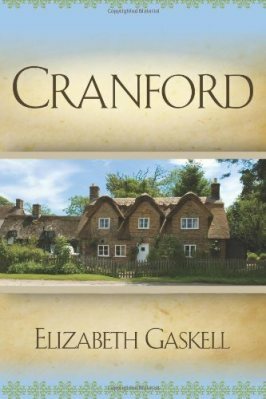 Cranford (Challenge category: Author with my initials) is a different kind of book altogether. Funny, yet with hints of romance gone awry, it features widows, spinsters, and young women. Men haven’t altogether disappeared — there are farmers and carpenters and other laborers — but it’s the world of these women that Gaskell wants to reveal to us: genteel women of diminished means, who must scrimp but manage to be cheerful about it. They meet for tea and card games, share gossip (but never scandal), express shock at any Cranfordite who misbehaves, and support each other throughout. Gaskell gives us a world something like what we find in Austen — paintings on “a little bit of ivory two inches wide”. Equally detailed, while expanding to a few more inches of ivory, is My Lady Ludlow (Challenge category: Book more than 100 years old). A portrait of an aging woman who wants her world to remain unchanged, this novella is more a social novel than is Cranford. The Lady of the title, a widow maintaining a standard of living despite financial strain, firmly believes despite the evidence around her that old money is better than new money, and that character is set by family background. Thus, she does not want the poor to be educated (she believes that, without equal instruction in how to use education with honor, educating the masses would result only in something too much like the French Revolution), she must pretend that illegitimate children do not exist, and her inferiors must, by virtue of their position in relation to hers, feel honored to be able to serve her. This description makes Lady Ludlow sound like a tyrant, but she isn’t. She’s kind, generous, and notices what’s happening even when she shouldn’t. She eventually begins to bend: recognizing that a “Baptist baker from Birmingham” might be someone worth knowing and admitting that educating the masses might not result in chaos. In each of these novels, women play crucial roles in forcing changes that improve people’s lives. Margaret Hale makes John Thornton see his workers as people and not just “hands”; Miss Matty grows to understand that her maid might actually want to get married, and is the first in her circle to allow her maid to have “followers”; the young narrator of My Lady Ludlow helps the older woman accept and make use of the changing world around her. It’s always a pleasure to discover a new author, and Gaskell — most of whose works are available on the internet — has much to offer. 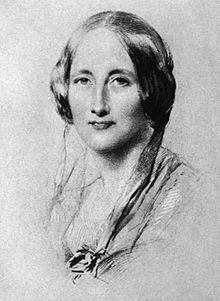 Janeite Deb’s excellent overview of Gaskell, including a comparison with Austen, can be found here. A lovely discussion from The Guardian of Cranford and related novels used for the BBC series can be found here. This entry was posted in 2015 Reading Challenge, Classic, Historical fiction, Romance and tagged Elizabeth Gaskell. Bookmark the permalink.